If you are a parent, you will quite relate to the fact that as much as your baby is a constant source of joy, worrying about your baby’s health and growth is rather natural. As a baby grows up, you may remain concerned about several aspects of his or her growth; feeding the right type of food, tops that list. Most parents are not sure about when to start giving solid foods to their babies. 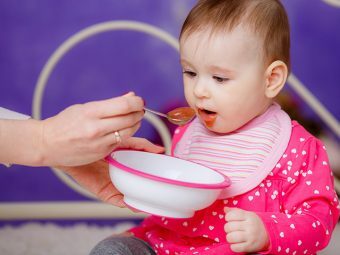 A number of pediatricians recommend giving diverse solid foods to a healthy baby when he or she is about 5 months old. While you should always consult your pediatricians on this, there is no watertight rule that has to be followed. Unless your baby has medical conditions that require specific diet, offering solid foods is suitable at the start of the fifth month. Do not expect your darling to lick clean her bowl right away! 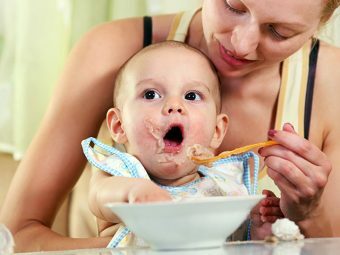 It may take a while, since it is a new experience, but soon enough, your baby will adapt to the changing meal type. With time, you can increase the portion as well. Using the right type of feeding accessories is also important. Soft baby spoons and glasses (preferably made from baby-friendly material) should be used. Some babies take time to understand the chewing and swallowing mechanism and you should not force toddlers. When your baby reaches five months, start giving him oatmeal and rice based cereals. Don’t forget to add formula or water to the cereal, to soften the texture! For the first time, avoid using flavored cereals; stick to plain cereals. When your baby indicates that he likes cereal, introduce other variants gradually. Fruits are packed with vitamins and 5 months is the right age for your baby to try them. At the beginning, fruits should be mashed and slightly cooked before you can offer that to your child. You can start giving bananas as they do not need to be cooked or avocados too. Make sure you only give ripe and tender fruits to your baby. Vegetables like potatoes, carrots and papaya can be offered to your baby in cooked form when he reaches the fifth month. 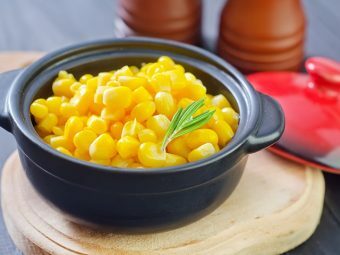 Ensure the veggies are thoroughly mashed and there is no seed or anything your baby finds difficult to chew or swallow. It is not advisable to offer raw vegetables before your darling turns 1 year or more. Growing babies also need lean protein but you should choose with care. Soft and cooked meat like chicken and boneless fish slices can be given. Ensure the meat has no bone or sharp bits. 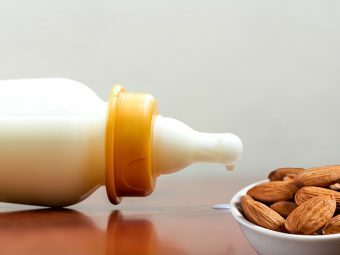 It is advisable to start on your baby on dairy products after he has reached 8 months. Eggs are considered super food, especially for growing children. But can you include eggs into your 5 month baby food? Until recent years, eggs were not recommended as a suitable food for growing babies. However, the American Academy of Pediatricians lifted the ban on eggs in 2011. Before offering your baby boiled or semi-boiled eggs ensure he or she is comfortable eating other types of solid foods. For best results, offer egg as a meal. 5 month old baby food allergies are not very common, but it can happen. They may be hereditary or item-based. It may so happen that it is too early to give some particular foods to your baby as well. If you find your baby developing allergic reactions after eating that food, stop feeding and get in touch with a pediatrician. 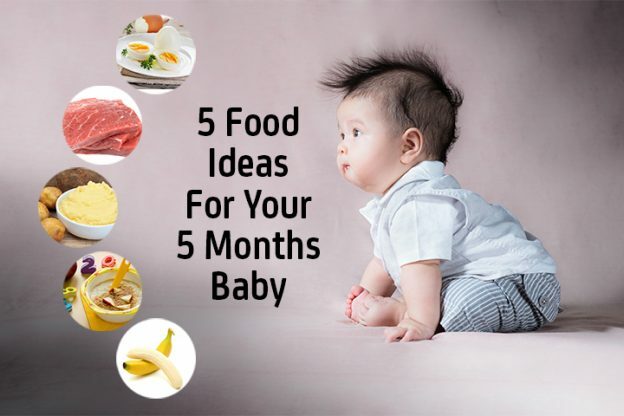 We hope this list of ideas for 5 months baby food has given you a lot of ideas to cook for your baby. Remember, while all of the above mentioned are safe food for 5 months baby, each baby is different! Watch out for allergies and give time for your child to settle before you introduce something new. You will be surprised at how within a few months you will turn from being an anxious parent to a baby food expert, ready to render advice to new parents! If you already have ideas? Share them with us.